Chiropractic Care from Chiropractors Who Care. Doctors Glenn, Donna and Michael (Mitch) Kneeland and staff are dedicated to providing quality Chiropractic services for their patients. With many years of experience, comprehensive education and training and state of the art equipment as well as kind and caring nature they offer the best possible care. We treat musculoskeletal disorders as well as advocate and promote general health. Salem Chiropractic changed my life. I could barely manage my everyday pain with chronic back issues. After a few treatments, I began to noticed pain relief and increased mobility.-Zack K.
Learn what chiropractic care is all about, and how it can help you, on our Chiropractic page. 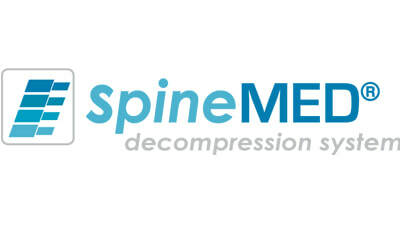 SpineMED is a conservative procedure for patients suffering with bulging or herniated discs, degenerative disc disease, posterior facet syndrome, sciatica, failed back surgery syndrome, and non-specified mechanical low back or neck pain. Natural supplements from Metagenics are useful for a variety of ailments. Sold online or at the Salem Chiropractic Center.